I found another injured turtle in EXACTLY the same spot in the road where I found Shelldon. No, I don’t mean SORTA in the same spot, or KINDA in the same spot, but EXACTLY the same spot. For the locals, it’s right where the speed limit sigh changes from 40 to 55 or vice versa on Marler Road. When I saw the turtle I thought maybe it was Shelldon returning to his home and family with a crazy story to tell, but no. This guy is a little bigger and his injuries are different. He had been hit by a car but it seemed that it made him skid on his shell. I couldn’t see any obvious cracks on the shell but the top was scraped off a little. His under-shell had a small bleeding crack, but it looked very minor and didn’t expose any soft tissue. I saw no signs of movement and assumed he was stunned or dead. He rode home in my back floorboard and I put him in the water bowl as soon as I got home. He instantly started paddling and he popped his head out. Yay! 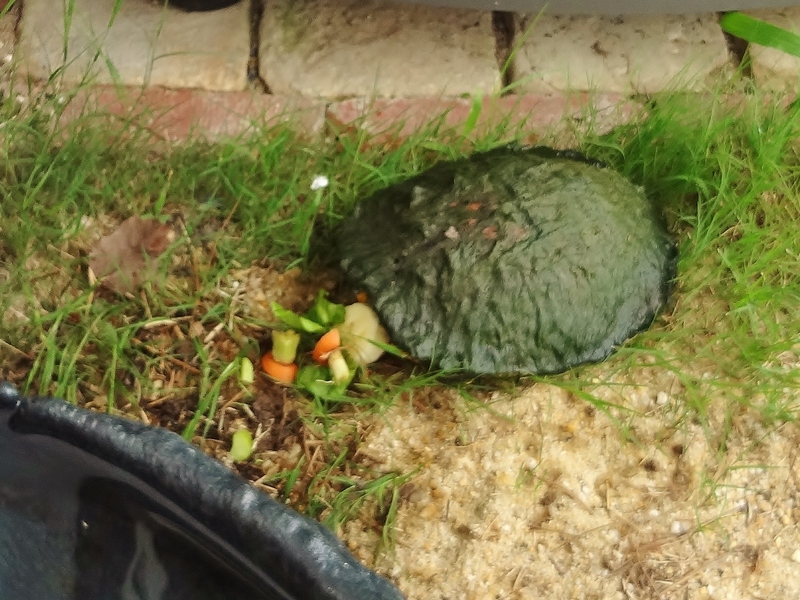 I left him there to rest and went inside to make him a turtle buffet. 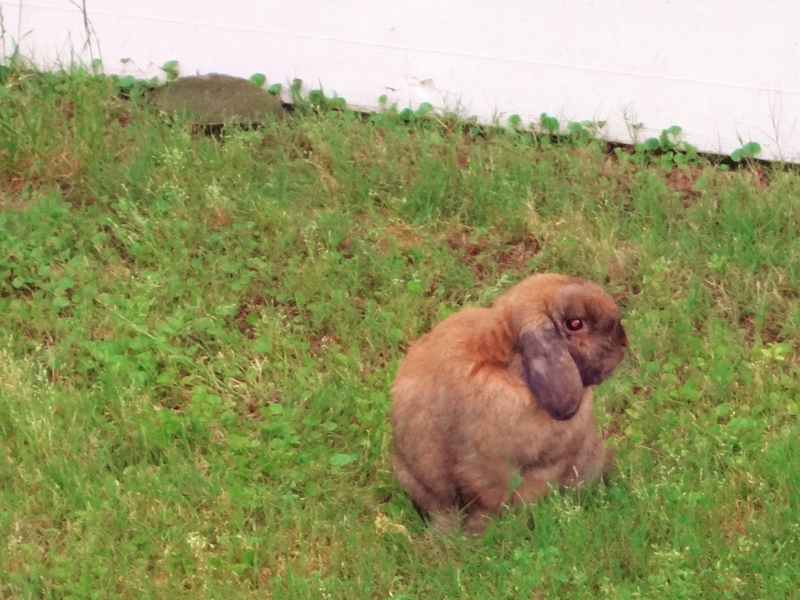 He didn’t eat right away, but later I saw all the food was gone, so I assume he got his fill. 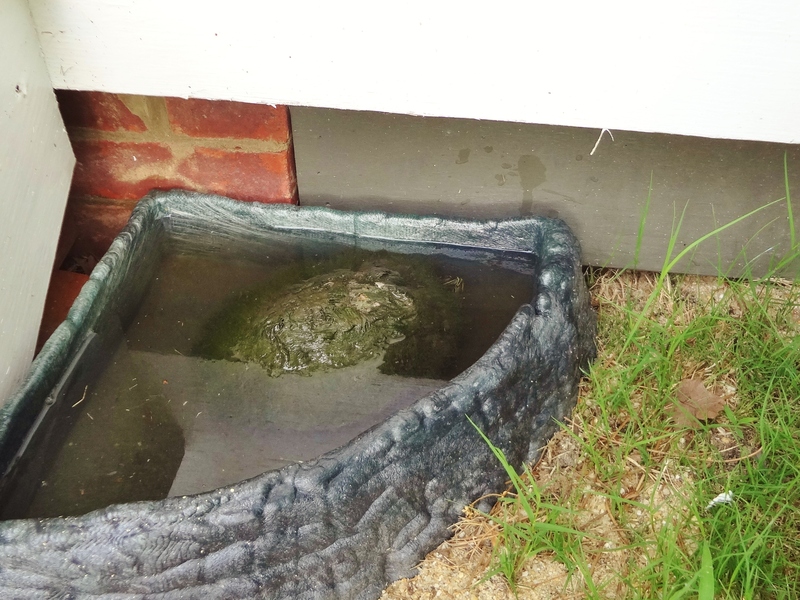 I’ll try again, to host a turtle in my backyard, but I won’t be surprised if he flies the coop like his predecessor. At least I hope he’ll stay long enough to recover from his minor injuries and provide some entertainment for the animals and human critters on the Burlingame Reptile Recovery Ranch. Seriously, that rock just moved. And this is why I love reading your blog. You do keep us entertained! It’s never boring around here my friend! This is my ultimate goal Debbie!